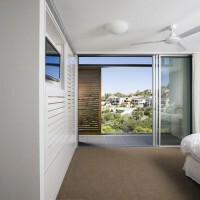 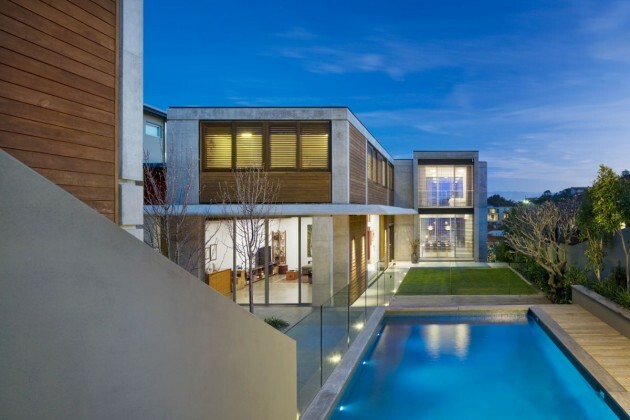 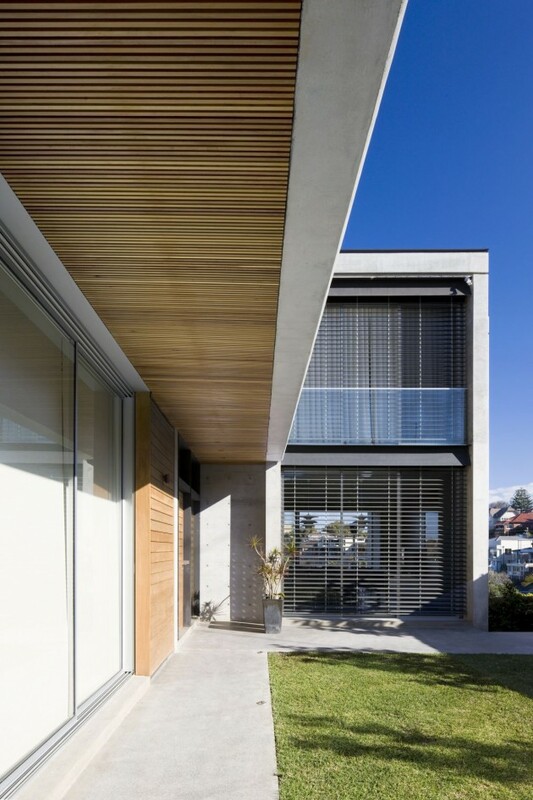 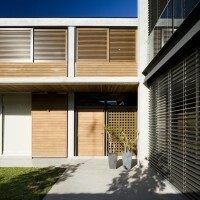 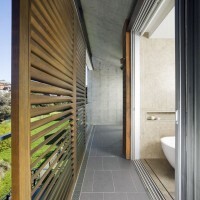 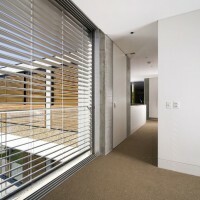 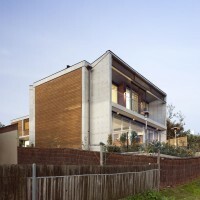 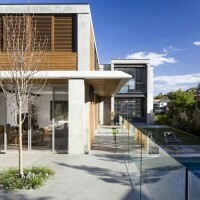 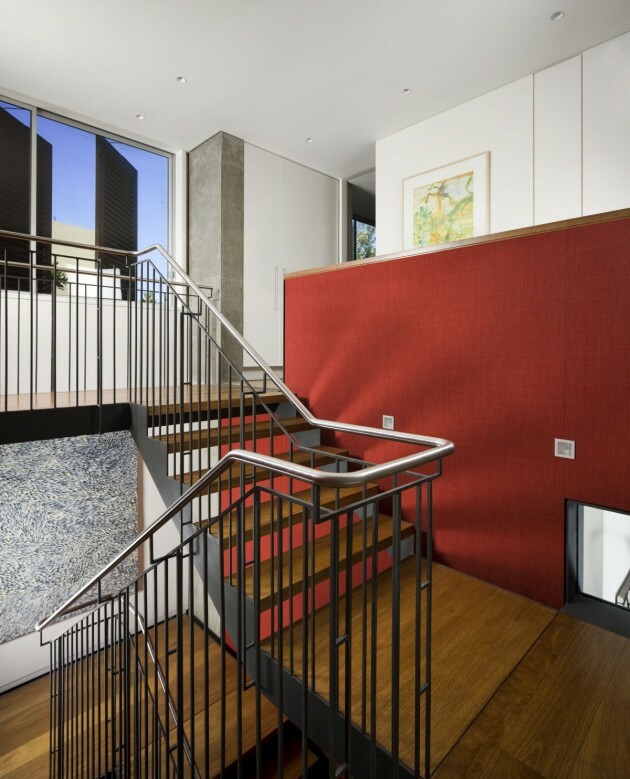 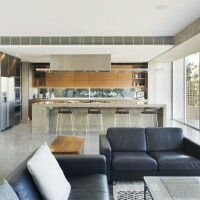 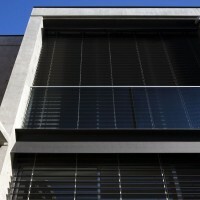 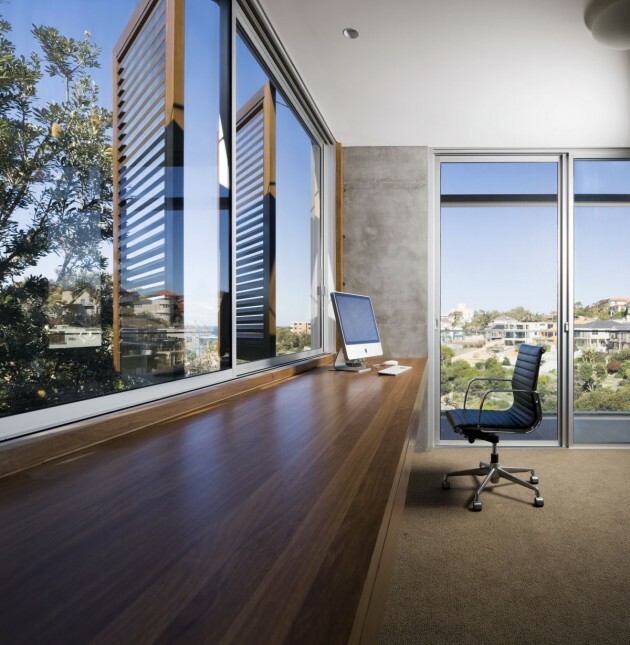 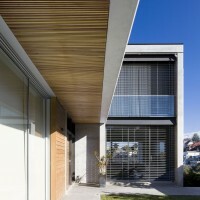 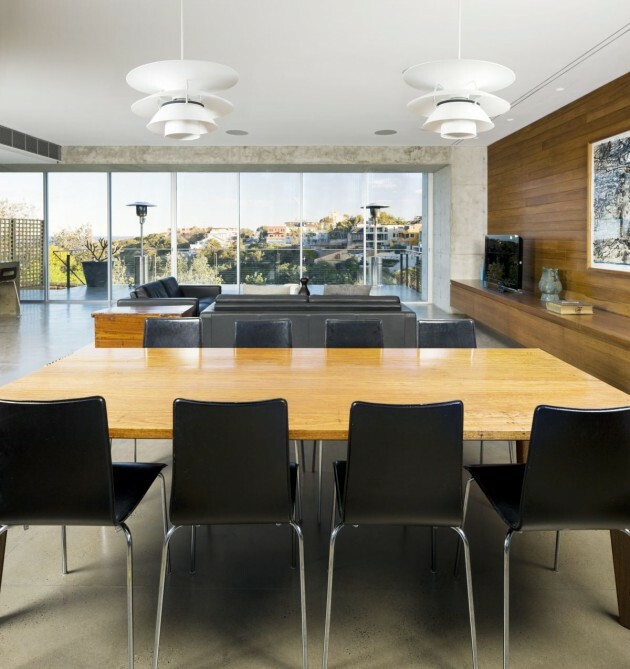 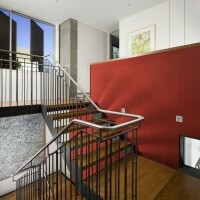 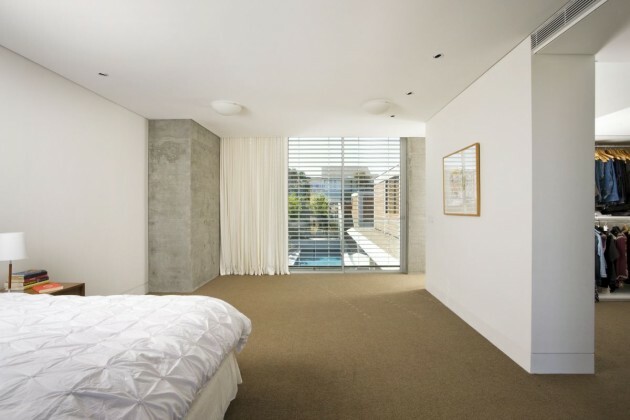 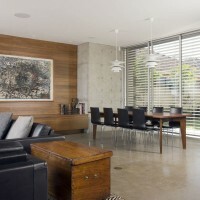 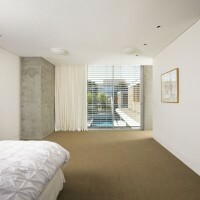 Tzannes Associates designed the Clovelly Residence in Sydney, Australia. 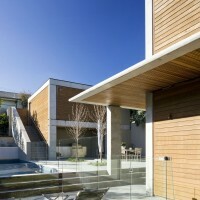 The residence forms a L-shape to create a protected enclave and to maximise solar access, natural ventilation and aspect as well as utilising energy efficiency by including 3 water tanks, reverse brick veneer walls, sun control louvres and shutters, natural ventilation, hot water solar panels and photo-voltaic cells. 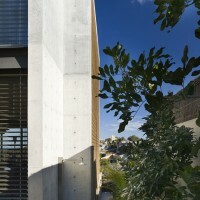 The building has an expressed off-form concrete structure with flush oiled infill timber panelling, providing an honesty of form and legibility of structure. 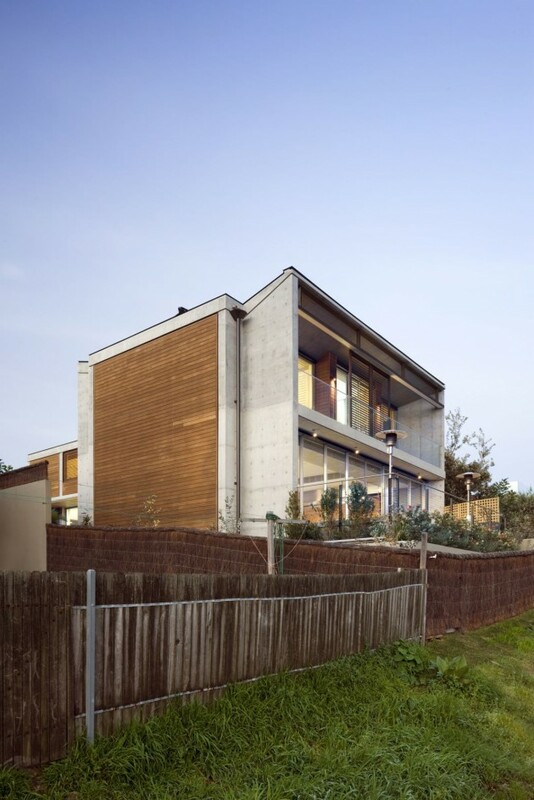 The robust materials compliment the natural cliff reserve setting, with the restricted material palette continuing through to the interior. 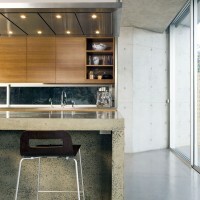 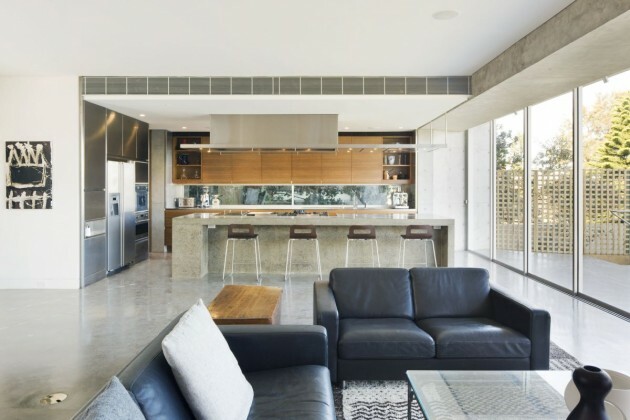 Polished concrete floors turn up to form the monolithic kitchen island bench which accommodates a cooking range, commensurate with the clients love for food. 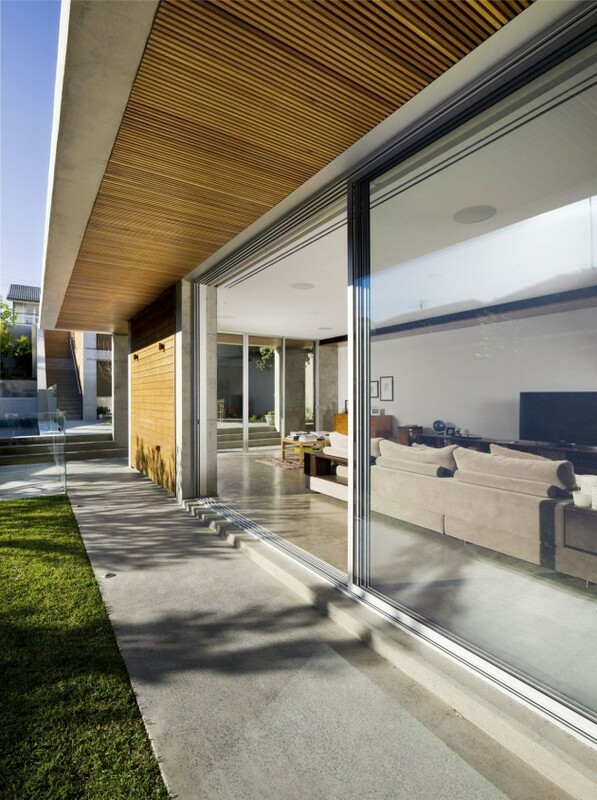 Internal timber joinery and wall linings utilise the same external timber species; tallowwood.